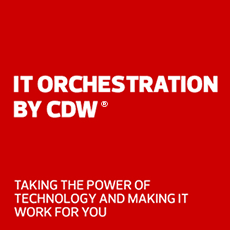 Meet all your storage needs with Kingston and CDW. Offering a full range of SSD, DRAM and encrypted USB drives, Kingston provides quality components, rigorous testing and industry-leading warranties. See why Kingston is a trusted leader in data storage and memory products and solutions. Quality components, rigorous testing, a lifetime warranty — just three of the many reasons to choose Kingston memory all of your memory needs. 10x faster than a traditional hard drive, the Q500 makes for a more agile system. Learn what goes into Kingston's memory systems for desktops and laptops. Increase your desktop’s or laptop’s processing power with Kingston memory add-ons. They’re guaranteed to be compatible and offer a great cost-performance benefit, plus better multitasking, faster processing of media files and smoother streaming. Get more life out of your computer by replacing your old hard drive with a Kingston SSDNow drive. It’s a cost-efficient way to dramatically improve your system’s responsiveness — and it’s less disruptive than migrating your data to a new system. See how Kingston is working to strengthen business and government security. Kingston encrypted products minimize the risks of moving data on USB drives and ensure your sensitive data is protected.